Nicknamed the "Teacup" because of its shape, this quasar is causing an ongoing storm. The power source of the quasar is a supermassive black hole at the center of a distant galaxy. The handle-shaped feature is a bubble formed by one or more eruptions powered by the black hole. New data from Chandra and XMM-Newton provide new information about the history of these eruptions. 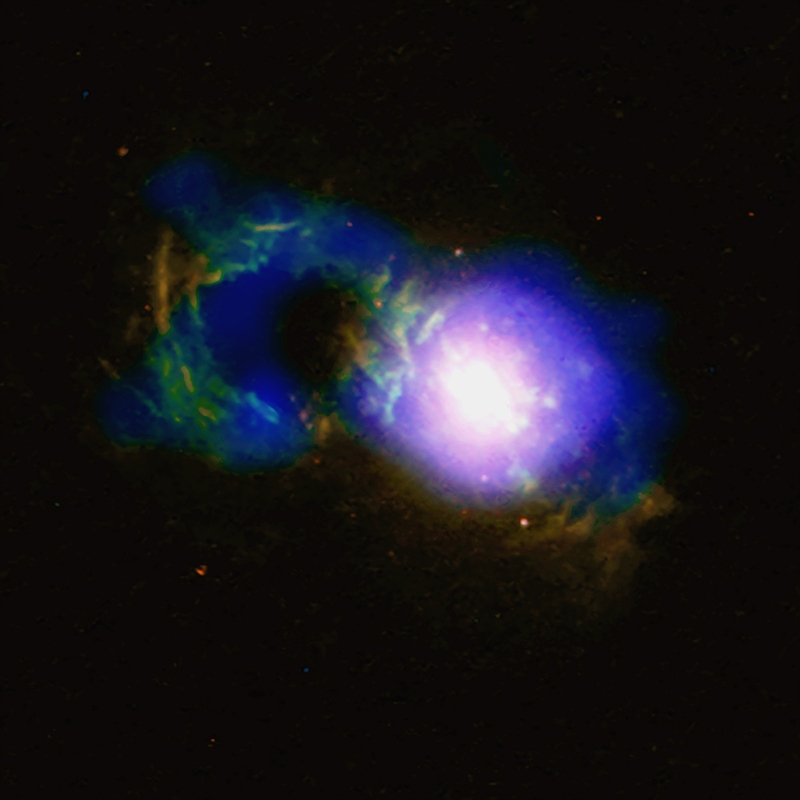 Credit X-ray: NASA/CXC/Univ. of Cambridge/G. Lansbury et al; Optical: NASA/STScI/W. Keel et al. 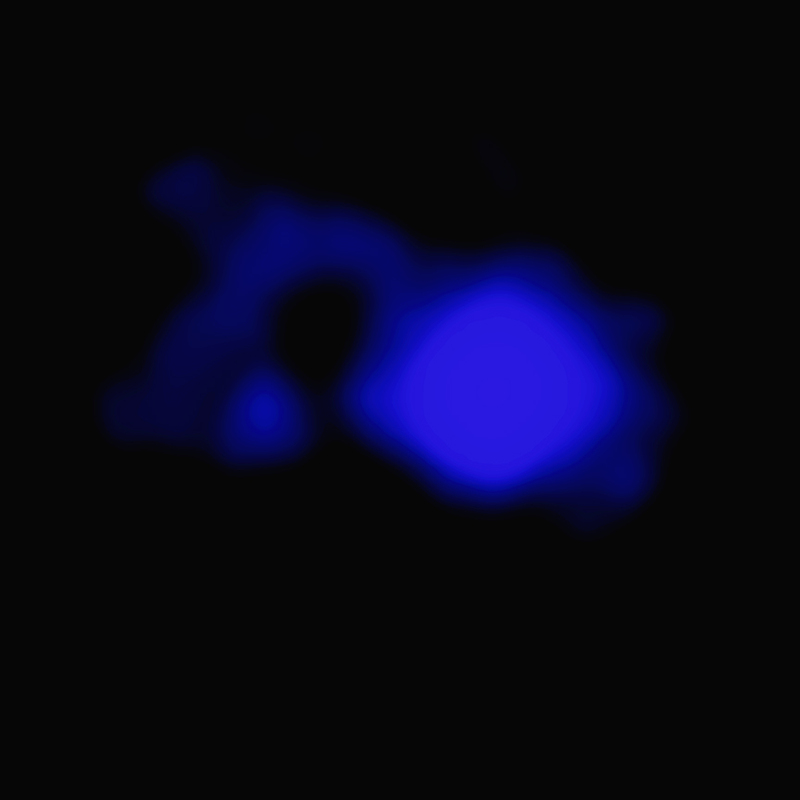 Coordinates (J2000) RA 14h 30m 29s | Dec +13° 39´ 11.79"
An actively growing black hole called a quasar. About 1.1 billion light years from Earth. X-ray light from Chandra & optical light from Hubble Space Telescope. About 85,000 light years across.